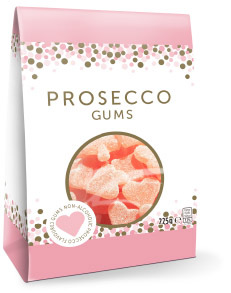 Our Prosecco Gums are a fun reminder of champagne or prosecco moments. Offering a great taste sensation you will love these casino shaped, crystal coated pink gums. Tartaric Acid; Prosecco Flavour, Colourants: E120, E161b.